December 14th will be a homecoming, of sorts, for the team at Playtonic. Not the whole team, certainly not. But for many of the founding members, including Gavin Price, Chris Sutherland, Steve Mayles, Steven Hurst, Mark Stevenson and Kevin Bayliss, the launch of Yooka-Laylee on Switch marks their return to a Nintendo home console after more than 15 years away. 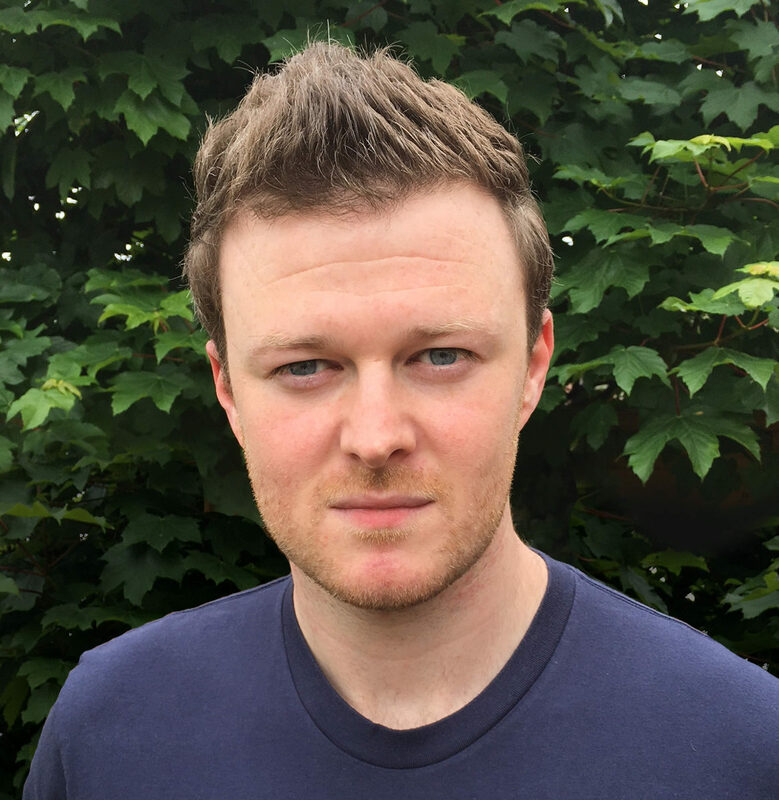 Playtonic has been an exciting proposition for Nintendo fans. The studio was formed by former Rare employees who had spent most of their time since 2002 making major Xbox titles (with the exception of a handful of GBA and DS titles). Prior to then, Rare made games exclusively for Nintendo, and remain a much loved studio amongst the platform holder's fanbase. So when Playtonic broke cover almost three years ago, and announced a 3D platformer that is the spiritual successor to one of Rare's most popular N64 games - Banjo-Kazooie - Nintendo fans threw their support behind the Kickstarter. "We had as many Wii U backers of the game as Xbox and PlayStation combined," reveals studio head Gavin Price. The game was originally intended for Nintendo's previous machine, before development moved to Switch. "And if our social media accounts are anything to go by, then there is a huge appetite for the Switch version. There's a massive natural audience, as we know from our heritage, who really anticipates this release. Because of our background, we have an affinity as developers and gamers towards Nintendo platforms. So spending time to get it right, and not to rush it out to regret it later on, has been the right approach. But we won't know until afterwards as to whether that appetite translates to sales." The journey to this point has been tricky. Initially intended for Wii U (alongside the Xbox One, PS4 and PC versions), the team was forced to cancel it due to troubles getting the Unity engine working correctly. The move to Switch proved equally complicated, with further engine problems. 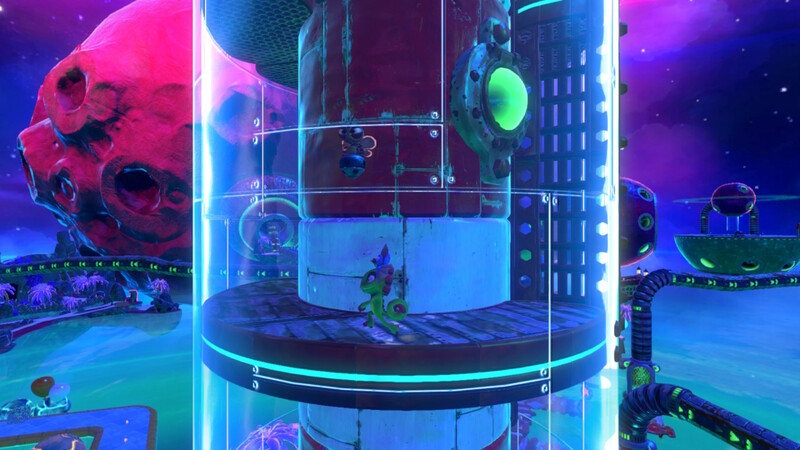 "The uniqueness of the project, on this engine, on a new console, has created this bespoke puzzle that needed to be solved," Price reveals. "To be fair, Unity, Nintendo, everyone, has been digging deep and helping us out. We've had Unity people getting out of beds at midnight to help us solve problems. You don't know if you're going to come across these problems until they're there, but everyone has been putting in a tonne of effort, which has been really heartwarming. Unity and Nintendo don't have to be bothered about a game from a new little indie studio in Burton-on-Trent. "It's been a lot of effort and the result is the Switch version is the most optimised version of the game hands down. We are really pleased with the results, and now things can go back and benefit the previous versions." "We've had Unity people getting out of beds at midnight to help us solve problems"
This does mean that Yooka-Laylee comes to Switch more than six months after its PS4, Xbox One and PC counterparts. The launch on those platforms was surprising in that it polarised critics. The game's scores ranged from 2/10 to 9/10. "We have the Metacritic score we expected, but it just happened over a far wider range than we had ever anticipated," Price acknowledges. The game's Metacritic score is 73 on PC and Xbox One. The Switch edition, aside from being the most optimised version of the game, also benefits from a massive update that was designed to fix some of the complaints. "People playing it for the first time will be getting it with this huge roster of updates, which have all been based on feedback from the other versions," says writer and communications director Andy Robinson. "We're talking big, big stuff. There's new pause music, a whole new camera mode, a whole load of design polish, there's a lot of optimisation, you can now skip the cutscenes, you can tweak the audio, you can skip through the text if you want..."
Price adds: "A lot of the legacy stuff from our heritage turned out to be some of the most divisive stuff amongst critics and players. Those are the things we addressed, so that we could give the players choice to play it there way." Robinson again: "And it's not just the option to skip stuff. There's control tweaks, we have polished up the multiplayer games... it is a more accessible experience now, because we've had another pass over the hub world to make it easier to find content. There's an option in the menu so you can look at every move and learn how to perform it. It's a significant roster of stuff, so those playing first time on Switch are getting a better experience." Back to Price: "You have to keep supporting your first game, because the fixes you might be putting in might be no better, and could open the game up to more criticism. So you don't just want to rush into the next game. This has changed our approach and planning moving forwards." Considering Yooka-Laylee's initial critical reception, and the game's perceived popularity amongst Nintendo's fanbase, the Switch release is more significant than what you would usually expect from an indie game getting a port to another platform. Indeed, this is the only console version that was handled internally at Playtonic (with Team17 on the Xbox One and PS4 editions). It's like a second launch for the game. "It wasn't intended, because in an ideal world we would have shipped simultaneously with the other platforms," Price says. "But what this means is that the Switch version is not just the most optimised, it's also the most complete package with all the content and tweaks. We have also supported the platform's unique elements. You can play the multiplayer with just a single Joy-Con." Yooka-Laylee's second launch does come with a certain weight of expectation. In a similar way to No Man's Sky, the expectation around the game has been significantly higher than a small team on a low budget could possibly realise. The Switch edition is no different, launching just two months after Super Mario Odyssey. 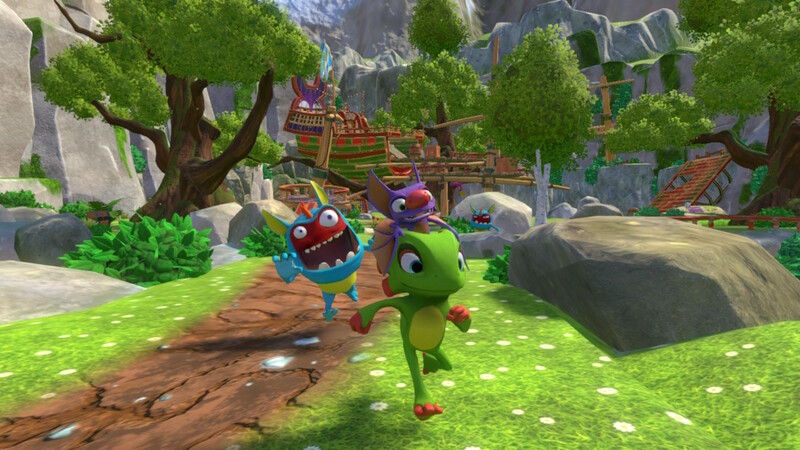 "People need to remember that we did Yooka-Laylee with 15 people over two years," Price reminds us. "We are being compared to games where the developer didn't need to build a company at the same time, and it was a much larger team, who had much longer, and were creating their second, third or fourth game on a bespoke engine. It is a difficult comparison to take, but there is a positive to it, because those people are championing our game. Perhaps we didn't realise at the time that [the high expectation] was what people were thinking. Although we have a lot of experience, we hadn't made this kind of game for a long time, we are a small studio, and to achieve what we did, I think, is still a commendable feat. Beating a Nintendo first-party team is a bit beyond our resources this time around." Price repeatedly uses the term 'this time around'. He has always held big ambitions for Playtonic. His dream is to build a studio that's working on multiple projects at once, so that it can release games faster - in a similar way to how Rare operated in the 1990s. Price is already speaking to other developers about working with the studio on upcoming projects, so what can we expect next? "Maybe it is the MMO built upon the framework of a free-to-play Match-3 puzzler with a lot of loot boxes," Price jokes. "We will either do that next, or the thing that most of our fans will be hoping for, only with a lot of surprises. We like the size we are. We have developed a little mantra about getting more games out more often. So there are other things we are thinking about in terms of not what just what gets done in our office, but how we can expand our universe. Ultimately every creator has too many ideas to see come to fruition in our lifetime, so we have to be picky about what we want to see made." So something in-keeping with the studio's heritage. A karting game perhaps? "It's such a privilege to be an independent studio, to have our own IP and to be able to work out what we do next"
"We'd love to do something in that genre," Price admits. "But that requires a large investment with that kind of multiplayer component. One day, we will be having conversations about that. I'm 37... there's probably another 30 years in me, fingers crossed. I would say that within the next 30 years, there may be a possibility of a kart game." Robinson laughs: "We feel like we are in such a strong position now. Off of the back of Yooka-Laylee, we have such a great bunch of talented people. It's such a privilege to be an independent studio, to have our own IP and to be able to work out what we do next." Back to Price: "And to be self-funding and thinking about all the opportunities beyond what we are doing ourselves. That initial Kickstarter has created this amazing foundation to build on, which is exactly what we were aiming to do from day one. Hopefully we will be able to reward our backers for many, many years with games they will enjoy." Price continues that the recent success of Hellblade by Ninja Theory has given the studio renewed optimism on these not-quite-AAA projects that Playtonic is creating. "We are really chuffed about that," he says. "On the last generation we did lose that mid-tier type of game, and as we get older we do assess the sort of games we are playing. A lot of the content is just too long, but we still want something unique and with a lot of polish. A 20 year-old now won't be playing the same sort of games when they're 40. We want to find experiences that fit into our lifestyles, without sacrificing what we love about games. 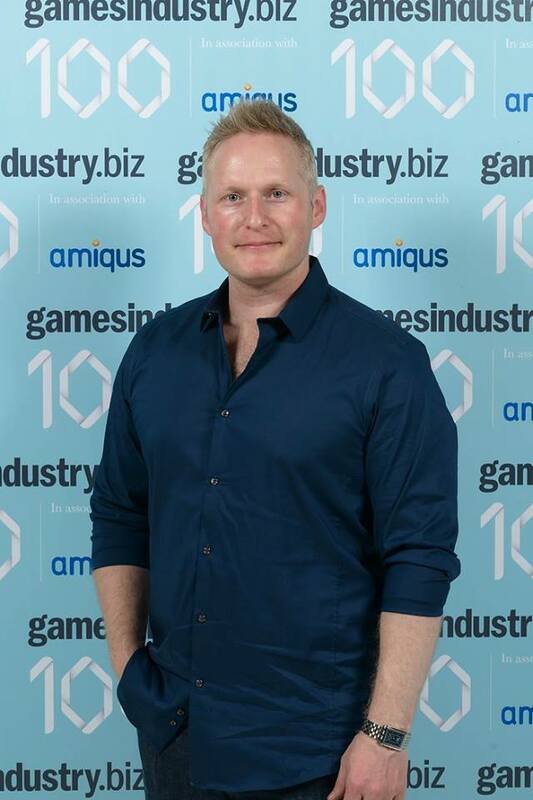 That is going to be a big growth area for the games industry as we all continue to grow up." Robinson says: "Our generation is pretty much the first generation of gamers. Film and other mediums have been established for 100 years or more. The medium is growing up with us. It's exciting to try to shape it. Ten years ago we had only just got the Wii and the App Store, which changed everything in terms of the audience. And, of course, Gavin's Kinect stuff... fastest selling consumer product ever, isn't that the stat Gavin?" Price responds: "If you looked closely, there's an asterix. And it reads 'in Belgium'. Or something." Is that from the Guinness Book of World Records? "We are in the World Record, I think," laughs Price. "I can safely say we are the No.1 bat/chameleon 3D platformer in the world." Robinson again: "I seem to remember we were going for the Longest Credits world record. I think we are still the highest funded UK Kickstarter. And we may have been beaten, but we were the fastest to $1m. Although Shenmue 3 came right after us." So beaten by a game announced on stage at E3? "And there's the asterix again," Price says. Robinson: "The fastest to $1m that wasn't part of a platform holder press conference." Playtonic is already working on its next project(s), although outside of the vague promise of a karting game in the next 30 years, there was no chance of coaxing a tease out of Price and Robinson. Yet there is a desire to do more than just rest on the team's old Rare heritage. It's still recruiting new talent, including younger designers who have no connection to Rare. "These guys are working on future stuff," Price concludes. "We need some young blood, because we are very old. We would surely have the Guinness world record for the team with the highest average age.